Must present this offer at time of service. Limited time ... [More] offer. Spring Special $20 OFF Your Next Service! Subaru is a Japanese auto manufacturer that creates high-performing and extremely safe vehicles. At Pro Import Denver, our auto repair shop is the top choice for all Japanese import auto repair and services in Denver and surrounding areas. Our ASE certified technicians are extremely experienced and specially trained to work on all makes and models of Subaru. Whether your vehicle is due for a scheduled maintenance item or needs a major repair, our experts can help. Vehicles we service include Impreza, Legacy, Forester, Outback, WRX, Crosstrek, and more. The best way to keep your Subaru running smoothly and safely for years to come is to stay current with your vehicle’s factory recommended services. Our shop has new technology that allows us to keep track of your vehicle’s recommended services and remind you when you are about to be due for a service. We offer a variety of different services and repairs, including oil changes, brake repair, engine services, computer diagnostics, inspections, tires, and much more. 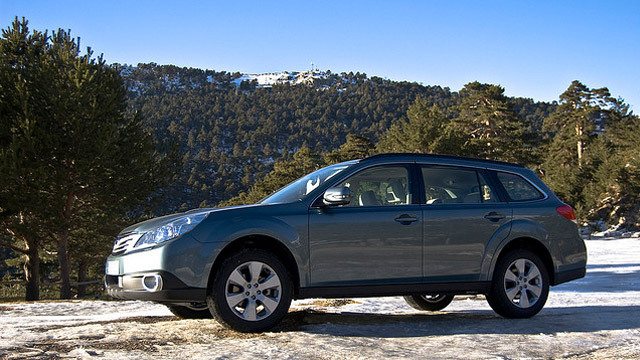 At the first sign of a problem with your Subaru, bring your vehicle into our experts for a thorough inspection. Although the issue may seem small, many small problems can turn into larger and more expensive repairs later on if ignored. Our shop has the latest, state-of-the-art computer diagnostic equipment to accurately diagnose your vehicle the first time. We will determine the exact cause of the problem and share with you our recommendations. Together, we will decide the best service plan for your vehicle based on what we feel is necessary and what fits your budget. Our goal is to get you back on the road quickly and safely. Pro Import Denver in Denver, Colorado, is a family owned and operated auto repair shop that specializes in asian import vehicles. Our shop offers the dealership level service without the dealership cost. We’ve been providing professional import auto repairs and friendly customer service since we opened our doors in 2009. We stand by our auto service with an outstanding 3 year/36,000 mile warranty on our repairs and services. When your Subaru needs servicing or repairs, bring your vehicle into the experts here at Pro Import Denver in Denver, Colorado. We look forward to servicing your vehicle soon!